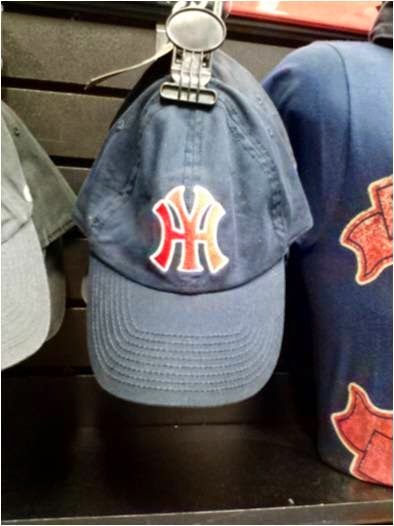 everyone wearing some type clothing that had the Sox name or logo. It was fun to stay in Kenmore Square, directly adjacent to Fenway Park. We could see the Green Monster from our room. 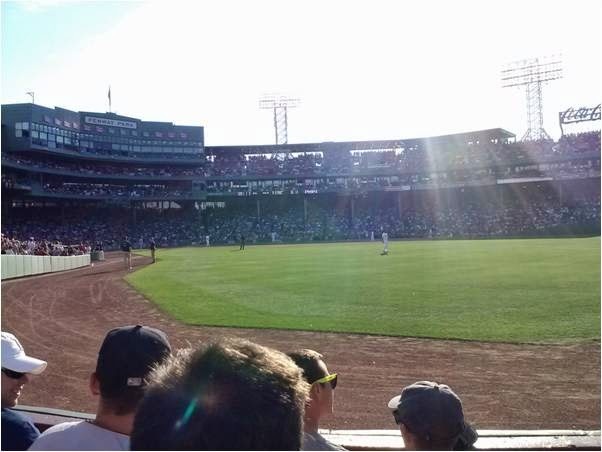 Better still, I got to bring my kids to see their first Sox game and watch the Red Sox beat Chicago in extra innings. We had a great time, although I didn't get a chance to run while I was away. It was probably for the best, due to the sun and heat. I considered doing a run in the Fitness Center this morning before heading back to Long Island, but there wasn't enough time. 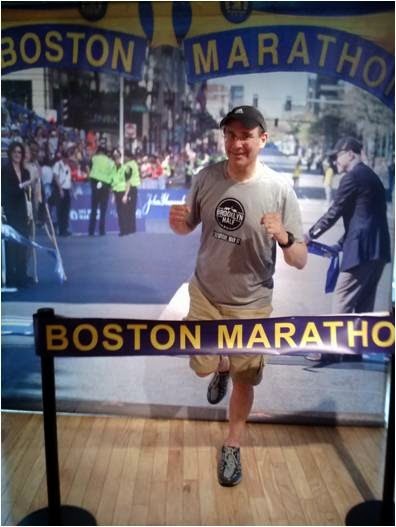 In our travels, we'd stopped into the Boston Marathon Experience store in Faneuil Hall where we were able to take pictures "finishing" the Boston Marathon. 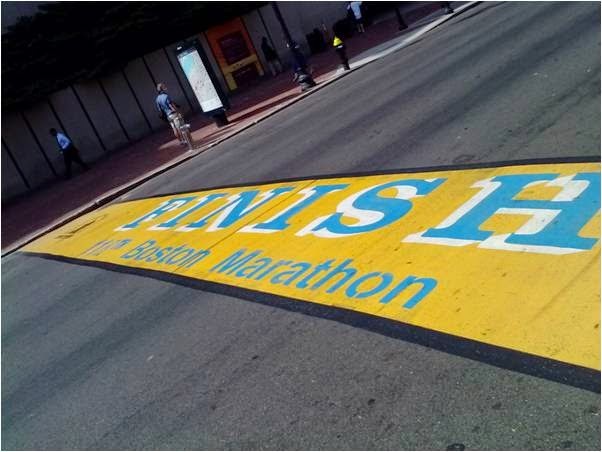 The next day we saw the actual Boston finish line on Boylston Street that's located next to Marathon Sports running store. I got a Boston Strong shirt for SIOR who actually ran (and finished) the marathon this year. After we arrived home, I started to feel guilty that I had not run since Monday. Although I don't like running in the afternoon (especially on such a scorching-hot day), I put on my running shoes and made my way around the neighborhood. Mid July is not the best time to go out in the afternoon without cover from the sun. The humidity was ridiculous, but I figured I could get through a few miles. I was fine for a while, but the conditions started to wear me out and I could hardly see from the sweat pouring into my eyes. I targeted 4-5 miles but decided to stay at the lower end as the sun, heat and humidity became practically intolerable. When I got home I saw that my kids were in the pool. After setting aside my phone, Garmin, HRM and Road ID, I jumped in with my running clothes. The instant cooling felt fantastic. Better still, the pool water rinsed me clean of my sunscreen that had become very greasy under the hot sun. It's been a great "mini" vacation since Wednesday, and I'll try to get out early tomorrow to prevent another high humidity run. I would have loved to do a run in Boston while I was away, but I'll admit that Long Island is also pretty great when it comes to running experiences. I'm glad you had a great time, and it was SO nice of you to score that shirt for SIOR! Running in the heat is a ridiculous endeavor, I must agree. Great finisher picture! If only we all looked that peppy at the end of a marathon! Thanks again for picking up the shirt. 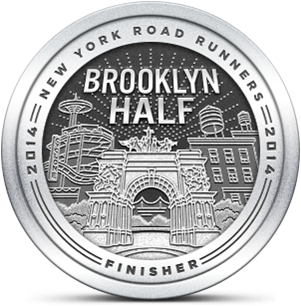 Thanks - it was a struggle getting over Heartbreak Hill. By that I mean the staircase leading up to the Marathon Center. Glad we found you the shirt!